For God so loved the world,[a] that he gave his only Son, that whoever believes in him should not perish but have eternal life. 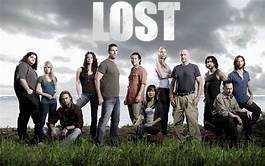 When ABC introduced the survival-themed serial drama Lost in September 2004, there was no way to predict the cultural impact it would have over the next six years. Part of its appeal was the ensemble cast that featured well-known actors like Matthew Fox, Evangeline Lilly, Dominic Monaghan, and Michael Emerson, and introduced rising stars like Jorge Garcia, Josh Holloway, Ian Somerhalder, and Michelle Rodriguez. Ultimately, however, it was the thematic elements of adventure, mystery, science fiction and the supernatural that kept viewers coming back for more. Based mostly on an uninhabited island somewhere in the South Pacific, Lost follows the survivors of Oceanic Airlines Flight 815 as they attempt to navigate a host of treacherous adversaries. While the first season spends most of its time on the beach, the castaways eventually make their way deeper into the island, and that’s where the Bible becomes increasingly prominent throughout the series. In fact, Bibles are physically used as props or visible in at least eight episodes including “Ab Aerterno” when Richard Alpert (Nestor Carbonell) is seen reading Luke 4, the story where Satan tempts Jesus in the wilderness. The Bible is also represented in Lost through several of its episode titles including “Numbers,” “Exodus, Part 1,” “Exodus, Part 2,” “The 23rd Psalm,” “Fire + Water” (Matthew 3:11), “Stranger in a Strange Land” (Exodus 2:22), and “316” (John 3:16). Several of the characters have biblical names (Seth, Jacob, Ben, Aaron, Naomi, Ruth Sarah, Rachel, David, Daniel, etc. ), as well, and some entertainment pundits were convinced that these references were purposefully inserted. One of the most intriguing sources of biblically inspired narrative is found in an enigmatic character named Mr. Eko (Adewale Akinnuoye-Agbaje) who is revealed to be a Nigerian warlord and drug smuggler turned self-made priest. In the Season Two episode “What Kate Did,” he tells John Locke (Terry O’Quinn) a story about King Josiah based on 2 Kings 22 before handing him a Bible that has been hollowed out and used to conceal an instructional film for the mysterious Swan station. Then, on two separate occasions, Eko recites Psalm 23—the first time as he sets fire to the crashed plane that houses his brother’s remains (in “The Cost of Living”), and a second time right before the island’s nefarious Smoke Monster kills him (in “The 23rd Psalm”). Even after death, Eko’s influence on the other castaways remains thanks to his walking stick that Charlie Pace (Dominic Monaghan) nicknamed the “Jesus stick.” Crafted from a branch retrieved on the beach, Eko carved various Bible verses into the wood such as Psalm 23, Acts 4:12, Habakkuk 1:3, Revelation 5:3, Romans 6:12 and Galatians 3:16. Locke retrieves the stick and intends to use it as a marker for Eko’s grave, but first notices the inscription, “Lift up your eyes and look north,” a paraphrasing of Genesis 13:14. Next to the inscription is the oddly-constructed Bible reference “John 3:05.” Locke deduces that Eko has left a clue (a compass bearing) for finding another secret hideout on the island. “The biblical narrative is a big part of the larger story,” Chris Seay told Fox News. In another interview to promote his book The Gospel According To Lost, he also conveyed a story he heard from an entertainment reporter. Dear Lord, we thank You for the freedoms we have to share Your love though media. We pray that we would continue to be bold with the good news and share it any way we can. In the Name of Jesus, Amen.